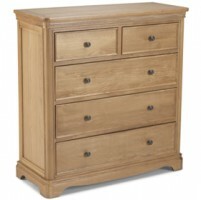 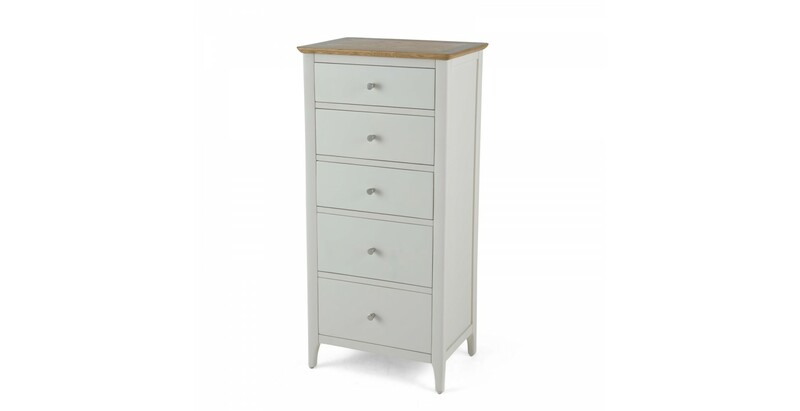 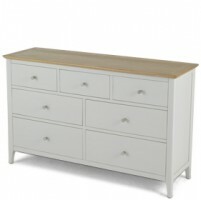 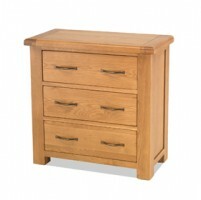 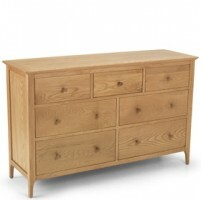 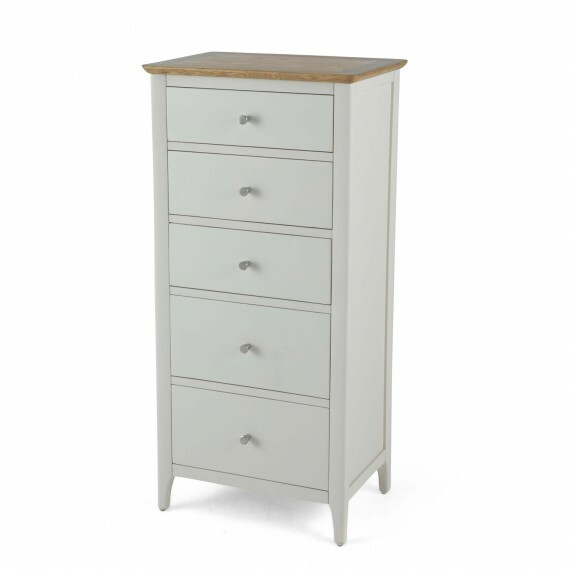 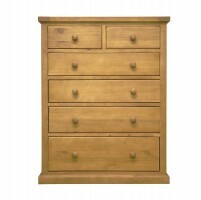 With curved edges on the tapered legs, and rounded corners softening its sleek lines, the timeless appearance of this Shaker-inspired chest will blend beautifully into a wide range of decors, be they modern or traditional. 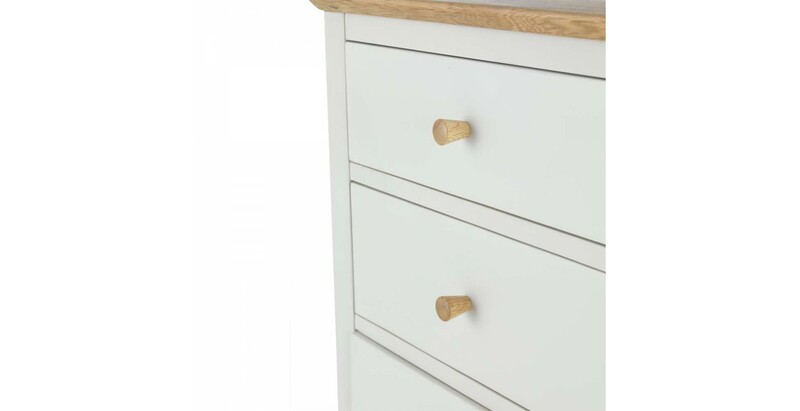 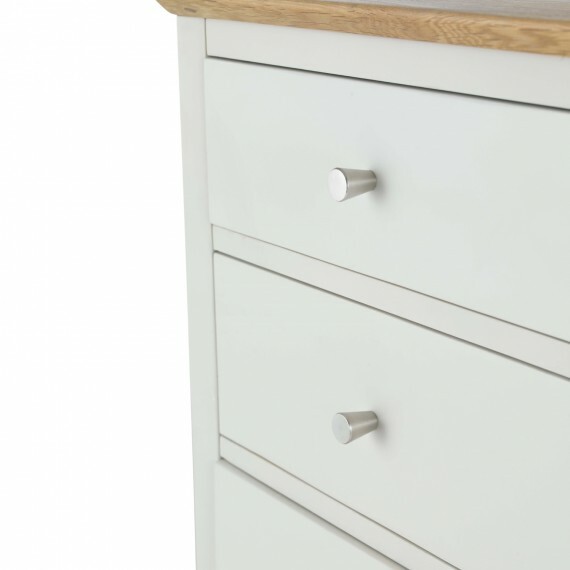 Offering plenty of storage in its five drawers, it stands tall to maximise floor space and has been painted a restful pale grey that combines superbly with its contrasting waxed oak and oak veneer top. 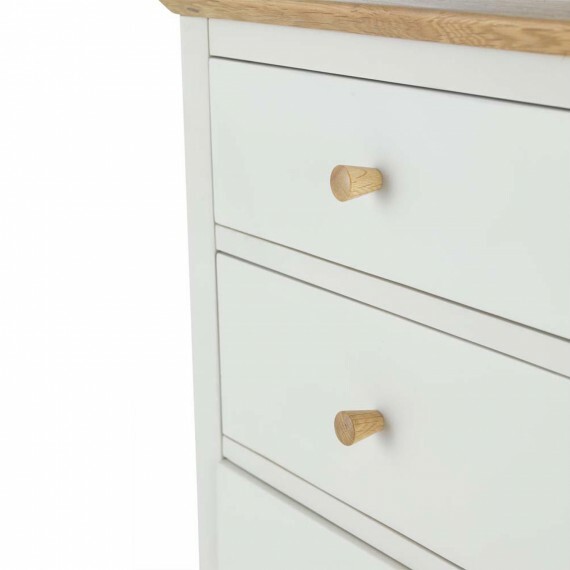 And so you can tailor its final appearance to your preference, both wooden and metal handles are provided.